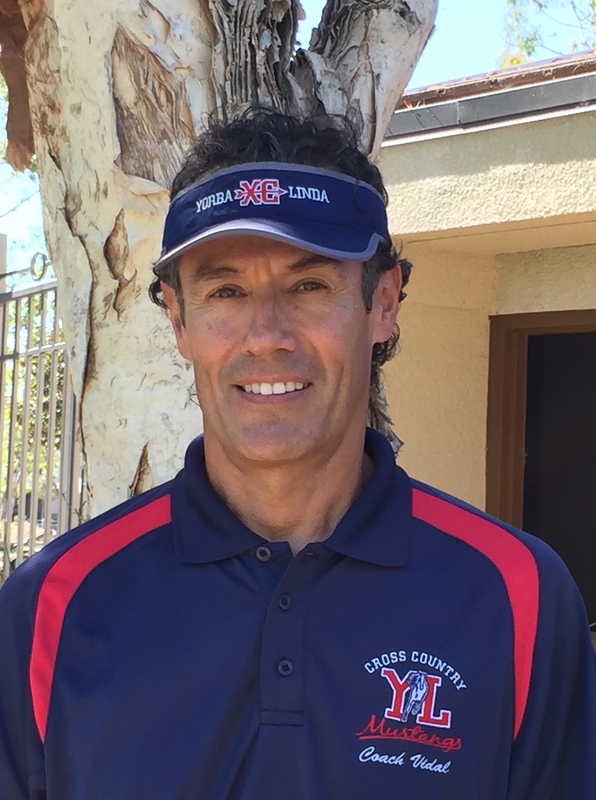 Coach Vidal Arista is the head coach for both boys and girls cross country. He has been training and racing for more than 30 years in running, triathlons and cycling. Coach Arista has a passion for running and helping others reach their full potential. He enjoys sharing his life experiences from training and racing and the balance between training hard and training smart. Training with focus, energy and self-belief is his motto. He wants to create a foundation for good sportsmanship, discipline and a desire to become your best. Coach Arista’s passion for running and coaching has carried over into the community. He has coached both adults and youth athletes for over 10 years. Coach Vidal Arista started a youth running program in 2009- PoweRun Club . It is the first running program of its kind in North Orange County with the emphasis in body mechanics, form, positive feedback and a healthy start to pre-high school running. He is a southern California native living in North Orange County since 1989. Vidal earned his Bachelor of Science in Chemical Engineering from Cal Poly Pomona and his MBA from Chapman University. I started running cross country and track for my high school team back in 2009. After graduating from El Dorado High School, I went on to run for Santiago Canyon College and then for Cal Poly Pomona. I first joined cross country to help me “get in shape” for soccer but I soon realized which was the better sport! I absolutely love running and I appreciate how the sport challenges me mentally and physically. Though I no longer have a school to run for, I still enjoy competing in local running events. After being coached for so many years it’s a whole different experience being on the other side now, but I’ve learned a lot from all the coaches I’ve had, and they’ve helped me develop into the runner I am now. I’m very excited to be coaching the Mustangs and I am grateful for the opportunity to share my running experiences with the athletes. As a freshman at Ayala High School I started running to stay in shape for soccer but I was immediately drawn to its competitive culture and lifestyle. Successes in high school allowed me to continue my education and running career at Cal State Fullerton. While at CSUF I raced everything from 1500m-10K but shared most of my success in the Steeplechase. Wanting a new challenge after graduation I started doing longer races on trails ranging from 30-50 miles with big mountain climbs. Coaching allows to give back to a sport that has given me so much over the years. Coaching gives me to get a new perspective on running and I am thankful for the opportunity to grow Yorba Linda Cross Country.